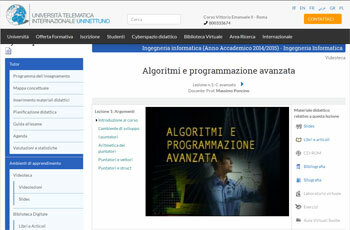 The International Telematic University UNINETTUNO, established by the decree of the 15th April 2005 of the Italian Ministry of Education, University and Research, delivers academic titles having a legal value in Italy, Europe and in the Mediterranean Countries, for first-cycle (bachelor) degrees, specialisation degrees (master), doctor’s degrees and master’s degrees. In the International Telematic University UNINETTUNO distinguished lecturers of important universities worldwide deliver their courses in the Internet-based real and virtual spaces in Italian, Arabic, English and French. A dream that has come true: with the UNINETTUNO you can attend your University from wherever you are with no more limits of space and time. UNINETTUNO takes origin from the training model of NETTUNO - Network per l’Università Ovunque, a consortium of 43 Italian and foreign universities with which, since 1992, thousands of Italian and foreign students obtained a distance university degree thanks to television and the Internet. At present, many of these universities put at UNINETTUNO’s disposal physical facilities such as laboratories for conducting research work and training activities, libraries, halls equipped with PCs and classrooms to organize face-to-face exams sessions for the students. UNINETTUNO takes origin also from the international success of Med Net’U (Mediterranean Network of Universities) Project, funded by the European Commission in the framework of the EUMEDIS Programme, aimed at realising a Euro-Mediterranean Distance University. With Med Net’U it was established a network of 31 universities of 11 countries of the Euro-Mediterranean Area (Algeria, Egypt, France, Jordan, Greece, Italy, Lebanon, Morocco, Syria, Tunisia and Turkey). The development of Med Net’U from project to system was supported by the Governments of the partner countries. 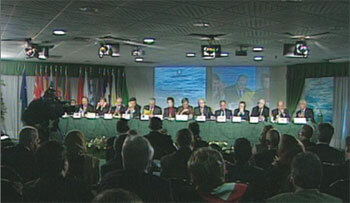 Actually, on the 29th January 2006, in the framework of the Catania 3 Conference for the realisation of a “Euro-Mediterranean Area of Higher Education and Research”, 14 Ministers of Higher Education of several Mediterranean countries, undersigned a joint declaration by which they stated their goal of strengthening the distance learning system of the Mediterranean countries, by expanding the results attained through the Med Net’U Project. The strength and the process of growth of UNINETTUNO are unquestionably represented by the fact that it rapidly succeeded in acquiring a significant role at international level by concluding agreements with the countries of Europe, the United States, Latin America, China, Russia, Georgia and Iraq. Very important agreements were undersigned with countries of the Mediterranean area, in particular with Egypt, Morocco, Syria and Tunisia. UNINETTUNO’s organisational structure appears as “network” structure: a Coordination Centre and Technological Poles and Production Centres, located on the national and international territories, interconnected by computer-based networks and also through transmitting and receiving satellite dishes. At present, UNINETTUNO can rely on the Technological Poles already set up in Italy as well as on the facilities and technologies of 31 Technological Poles and 9 Production centres, set up at the universities’ campuses and vocational training centres of the Med Net’U Project partners and based in 11 countries of the Euro-Mediterranean area. They are training structures equipped with new information and communication technologies (ICTs) dislocated on the national and international territories which make available to the students all the technologies they need to follow the courses by distance mode, participate in the training activities by videoconferencing and take the exams. They are structures supplied with all the equipment needed to produce Internet-based multimedia educational contents, available on the didactic portal, which is the first distance teaching portal in the world that was realized in four languages (Arabic, English, French and Italian). Faculties have institutional tasks envisaged by the Statute and promote the development of research programmes. Degree courses have the task of defining the Study Programme, the modes for carrying on practice exercises and exams, the quality assessment of the educational materials realised by the Production Centres located on the national and international territories; the coordination of the tutoring activities, the quality assessment of all educational services delivered by means of the new technologies. There is a dedicated area: the Didactic Cyberspace, where teaching and learning take place in five languages: Italian, Arabic, English, French and Greek. The Internet-based learning environment transfers directly to the student’s desk: lessons, multimedia products, databases, exercises, evaluation and self-evaluation systems, online tutoring, forums, chats, thematic wikis. The digitised videolessons are the starting-point of the learning process. Each digitised videolesson is structured into several issues and is indexed in order to enable the student to follow the whole videolesson or to select the issue he wants to study more depth. Each subject is linked in an hypertextual and multimedia way to essays, books, exercise texts, virtual libraries, lists of websites (links to websites related to the subject that were selected by the professors and tutors). This section includes online interactive exercises linked to the topics treated in the videolessons. It is an environment in which the student integrates theory with practice through a “learning-by-doing” process. Tutors, who check the students’ learning progress using the technologies. Enrolments can be made only on the Internet, in the area devoted to the Administrative Secretariat of the portal www.uninettunouniversity.net. Payments can be made online by credit card or bank transfer or postal service. 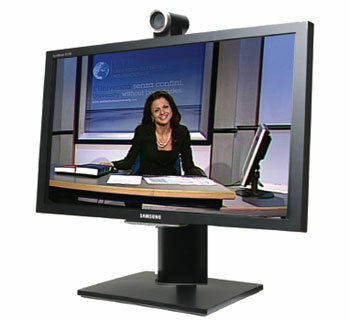 The applied technologies include: the Internet, satellite television and videoconferencing systems. Transmitting and receiving satellite dishes allowed realising a technological network that connects not only Rome International Centre with the Technological Poles located in Italy, Europe and the Mediterranean countries, but, thanks to wide-band Internet also via satellite, this enables all partners to connect and share, produce and transmit knowledge. Thanks to UNINETTUNOUNIVERSITY.TV satellite television channel, broadcasting lectures for free 24 hours a day thanks to HotBird 13° East satellite, broadcast by EUTELSAT, covering Europe’s whole territory, North Africa and the Middle East, the access to knowledge is democratised. In Italy it is possible to watch UNINETTUNOUNIVERSITY.TV tuning in to SKY 812 channel or to RAI SAT 702 channel. The University research activities are aimed at developing studies on technology applied to learning process. They involve international-level scientists, expert in different disciplines (technologists, computer scientists, experts in various languages). This research work is based on a strong interaction among theoretical and experimental, pure and applied activities. The results of these research activities allowed identifying new modes for realizing teaching-learning processes and by now have affected in significant way the theories concerning learning processes, teaching methodologies, distance interaction relations. In economic terms, these results have been a starting-point for developing new models for managing distance universities and new models of e-learning. The research activities at the Faculty level are researches related to topics which are peculiar of each given Faculty. The Faculties have created special structures, also jointly with research departments of traditional universities, with Italian or foreign, public or private research centres. This allows UNINETTUNO Faculties to have at their disposal advanced laboratories to carry on research work in specific field of interest.